Devin McCourty #32 of the New England Patriots celebrates in the second half against the Indianapolis Colts of the 2015 AFC Championship Game at Gillette Stadium on January 18, 2015 in Foxboro, Massachusetts. A key member of the New England Patriots will be back with the team for the foreseeable future. Safety Devin McCourty has signed a five-year, $47.5 million contract with the team -- and, more than $28 million of that is guaranteed. 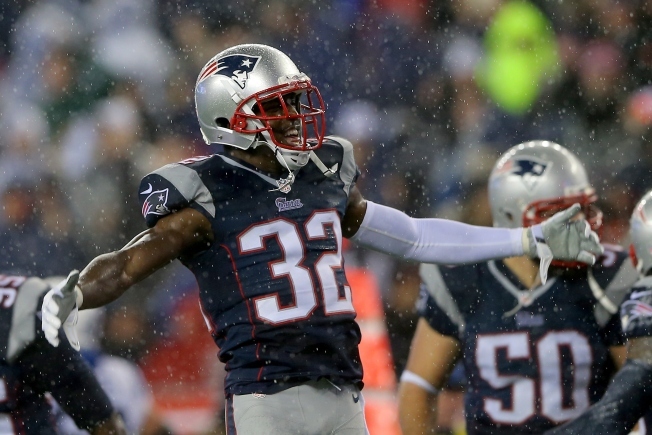 McCourty will not test the free agent market. The 27-year-old was drafted by the Pats in the first round of the 2010 NFL Draft, and has been a team captain each of the last four seasons. He played college football for Rutgers University. Meanwhile, New England fans are still anxious to see whether Darrelle Revis will re-sign with the Patriots.